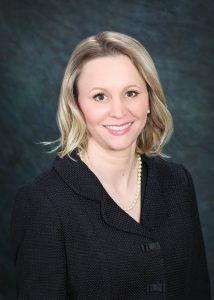 Kate Kutilek is a proud public relations and business foundations graduate of The University of Texas at Austin. Originally from Omaha, NE, Kate now lives in Dallas where she enjoys exploring the city and making new connections. During her time at UT, Kate completed a handful of PR internships where she gained valuable experience dealing with a wide array of clientele including, real estate, hospitality, entertainment, retail, service, health, and technology. She also studied abroad in Prague, enrolling in literature, art history and Czech classes to gain a better perspective of the world. As Account Executive, Kate drafts press releases and media alerts, pitches to media outlets, assists with social media accounts and provides support for client events, as well as to Endicott staff. When not in the office, Kate enjoys spending time with her friends and family, getting outside and traveling. She considers herself an unofficial ‘yogi’, as she practices on a daily basis. She also enjoys watching Texas and Nebraska football, sampling the restaurant scene in Dallas, and a good happy hour. Stephanie Squires is responsible for overseeing Endicott PR’s client public relations aspects during all phases of business development and special events. Recognized for excellent written and interpersonal communication skills, Stephanie helps develop media kits, press releases, media lists, pitch letters, as well as media alerts. Prior to joining Endicott PR, she has held positions including PR and Marketing Representative to Community Relations Manager with Advanced Hearing Center, Institute For Women’s Health, and the American Red Cross organizations. Stephanie is a proud native of Dallas, and she received her Bachelor’s of Science in Communications and Business Management at Utah Valley University. When she’s not working, you can find Stephanie at the dog park playing with with her two rescue dogs, Cooper and Snoopy. Best of all, she adores spending time with her 5-year old son, Dallin. 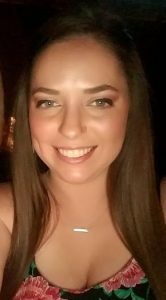 As Social Media and Account Coordinator, Brittany Lowry supports on all accounts by pitching to media outlets, drafting press releases and media alerts as well as handling social media accounts. 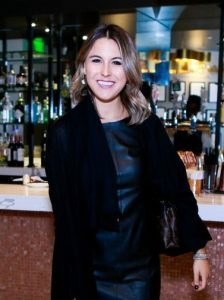 Taylor Murray is responsible for managing EPR calendars and contact lists, creating media alerts and monthly reports for our Houston and Austin clients, as well as event planning. She also assists with any overflow from Endicott’s President and Account Executives. Taylor is a native Houstonian, she has lived in Houston all of her life, aside from the two years she spent living in Austin. After scoring an 8 on her SAT essay, and she graduating top 7% of her class, she decided to jump straight into a career path. Her 6 years experience in the customer service and 4 years experience in office administration, opened up the door for her to pursue her passion in the public relations field. Her ability to understand, and to connect with people is her greatest and most rewarding talent. When she’s not working, she enjoys spending time watching movies with her husband, Blake, and 5-year-old son, Kason. Taylor also volunteers for Alvin Little League for Kason’s T-ball team. In the warmer months, she can be found at the family bay house in Matagorda, TX, sitting on the beach, boating, or floating in the river. In the colder months, she enjoys being at the family ranch in Gonzales, TX, sitting by the fire, riding in jeeps, and playing cards. Taylor is a huge foodie who likes to cook and loves trying new Houston restaurants to review. Martha Bellomy is Founder and President of MB Marketing Solutions, a strategic marketing boutique based in Burbank, CA. Prior to MB Marketing, Martha was the International Marketing Manager for Carlson Restaurants Worldwide, where she helped market the T.G.I. Friday’s brand in over sixty countries worldwide. Additionally, Martha has worked at Moroch Advertising Agency where she managed the local McDonald’s Restaurant business. Martha has a passion for marketing, branding and communications as she feels it creates that personal connection between a business and its customers. Martha has a strong dedication to providing outreach and is committed to helping her community; particularly serving as an advocate for children and families in need. She has been a long term volunteer at the Ronald McDonald House of Dallas and in 2013 she began serving on the Board of Directors for The Mexico Institute, whose main focus is to bridge the cultural gap between the rapidly growing Latino community and other cultures in the Dallas area. Martha is fluent in Spanish and works with many of our clients who are looking to target Hispanic consumers. Martha handles local, regional and national pitching strategy for our consumer brand clients. Currently, she handles the Hispanic marketing for the National Breast Cancer Foundation based in Dallas, Texas. Martha is a devoted wife to her husband John and together they have two children, 9-year old, Joseph Loy and 6-year old, Sabrina Eve. Martha enjoys fashion, traveling, politics and meeting people from different backgrounds. Copyright © 2012 Endicott & Co PR. All rights reserved.